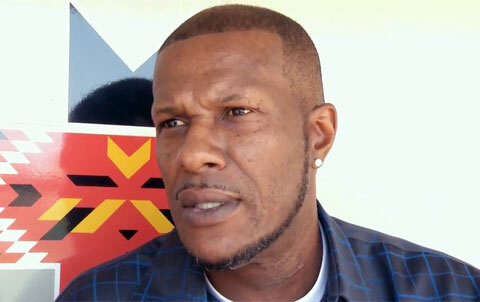 Eric Davis is a former center fielder for several Major League Baseball teams. Davis was 21 years old when he broke into the big leagues on May 19, 1984, with the Cincinnati Reds, the team for which he is most remembered. Davis actually began his career as a shortstop, but played the outfield in the majors. According to former Reds teammate Paul O’Neill, Davis was “the best hitter, best runner, best outfielder, best everything” he ever saw. In May 1997, Davis was diagnosed with colon cancer. By September, while he was still in treatment, Davis returned to the team. His cancer treatment left him tired but he worked very hard to regain his form. Davis was well enough to hammer a game-winning home run in the 1997 American League Championship Series. After the season, he was given the Roberto Clemente Award. He serves as an honorary board member of the Multiple Myeloma Research Foundation. He currently works in the Reds front office. Playing Field Promotions is a booking agent for motivational sports speakers and celebrities. If you would like to book Baseball speakers or MLB stars like Eric Davis for a speaking engagement, personal appearance or special event, you can request Eric Davis agent and speaker information from PFP Sports & Celebrity Talent or call 800.966.1380.